Moreover, he seems pleased as punch at the discovery. And why shouldn’t he be? I know that I was pretty excited when I found out about it. Looks like my Great-Grandpa Phil received this postcard, oh, a little over a hundred years ago; the postmark is a little obscured, but it looks like January 9, 1909. You are lucky that someone in your family had enough foresight to save these delightful cards, especially this one. 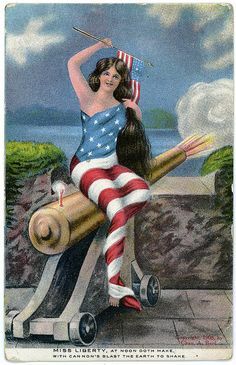 For some reason, I was instantly drawn to this postcard, and then got quite a start on seeing the name of the addressee. A had a however-many-greats grandfather named Philip Smith, born well over 100 before yours, who settled in Bedford (later Somerset) Co, PA. Haven’t thought of him in years! Thanks! And yes, how lucky someone had the good sense to save the card! Oooooh! Cheeky Monkey! You’ve a real sense of humor for even suggesting the use of artistic license to put one over on the US Postal Service! If you think my enthusiasm for such a thing is lacking, check out the envelope I sent to Mary Green a few days ago: http://greenpaper.typepad.com/green/2009/08/envelope-art.html and in particular the stamp. Click on the image of the envelope and enlarge it. You will notice a line running upper Left corner to lower Right corner. It’s two recombined pieces of two stamps. In the Philatelic world it’s called a ‘Bisect’ when a stamp is cut in half. In my world, since the stamps are the King & Queen of Hearts, it’s called a Bisectual Union or a Royal Wedding when the pieces are ‘mated’. Any questions? By the way – Did I tell you I like postcards? A postcard within a postcard! Something of a gem I would think. Edna runs out of space before she runs out of address just like I do. The post office wasn’t as strict back then. My letters and cards are returned with grades. Got a C- on the last one. And a note: Cynthia needs to improve her planning skills. Great view. one happy deacon. You must have inherited your obsession from him. What a great card! What fun! There is never enough room on the card for a real Note! Happy PFF what a lucky fellow the Deacon was . 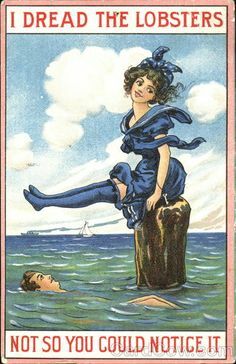 You also are a lucky one with your ancestors postcard treasures in hand . Once again you have shared a great post . I wonder how many recipients of this card got out the magnifying glass to see if they could see more.